A new year is right around the corner, which makes now a great time to review your 2018 resolutions (particularly how successful you’ve been at achieving them) and chart a course for an even better 2019 with a fresh set of resolutions designed to build a better you. Ready, set, go! Wait … not so fast. The overwhelming majority of lists start and end with resolutions related to eating habits and/or exercise goals (with or without weight loss in mind). Those are important aspects of your health and wellness, but you shouldn’t stop there. Here are some of the best ways to improve yourself next year that, more often than not, won’t show up on the average person’s list of New Year’s resolutions, even though they should be close to or at the top. Add them to your list today and get ready to enjoy a healthier, happier 2019! Laugh It Up: Want to reduce stress, boost your heart rate (in a good way), increase circulation, optimize your immune response, improve sleep and even burn calories? All it takes is a little laughter, which promotes health in these and other ways. And from a pure quality-of-life perspective, who can question the power of laughter to improve one’s sense of well-being and enjoyment? Just try to have a bad day while you’re laughing! Say No to Stress: It can be a killer, particularly in its chronic form, so resolve to deal with stress whenever it raises its ugly head and prevent its severity before it even strikes. Stress elevates blood levels of cortisol, a hormone associated with obesity and heart disease. Stress can also cause GI problems, depression and headaches, according to research. How can you reduce stress? Stick to your resolution! Are you managing your time well? Are you confined to a desk all day? Are you getting enough sleep? When a stressful situation arises, do you stay calm, or do you let stress win out? Answering these questions is the first step in the right direction. Get More ZZZs: Most of us take sleep for granted and just “let it happen” when it happens. Big mistake. In today’s busy world, we all need to prioritize sleep – how much we get, when we get it and how we get it. Do you sleep through the night or do you toss, turn and wake up multiple times? It could be the wrong mattress or pillow. Do you stay up too late and wake up too early? Adjust your schedule to ensure you get at least seven hours a night. Do you prepare properly for restful, restorative sleep? Make your bedroom a sleep room. Sleep and health are inexorably intertwined. If you care about your health – and we know you do – then care about your sleep. Time to Let It Out: Communication may be the most overlooked aspect of our mental and physical health these days. Sure, we communicate constantly on our electronic devices (often anonymously, which is another story), but how often do we actually talk to one another? Here’s another question: How often do we honestly share our thoughts with other people? Sadly, not as much as we used to, and our health is suffering. Holding things in is one of the biggest contributors to stress and the health consequences. In 2019, resolve to let things out, rather than keeping them in. Whether it’s writing in a diary, setting up a regular time to talk to a loved one, or just reminding yourself not to keep everything in, let it all out! Give a Hug, Get a Hug: The power of a hug is undeniable. Just give one (or get one) and you’ll feel an immediate difference in your life. But don’t just rely on personal experience for the proof. Research suggests hugging promotes release of “the bonding hormone” (oxytocin). Hugging reduces heart rate, promotes relaxation, reduces cortisol levels (see more about the “stress hormone” above) and may improve immune function courtesy of increased oxytocin production. Hugs are scientifically healthy for you; so give one (and get one) as often as you can. 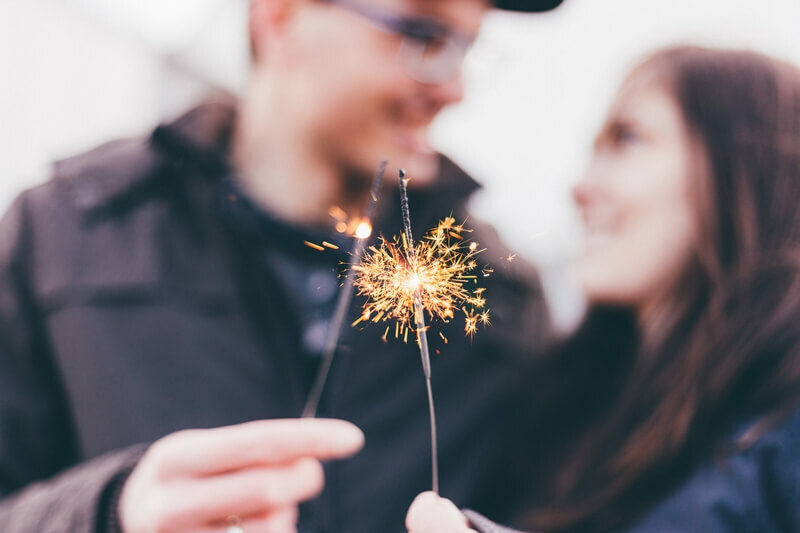 As you debate your New Year’s Resolutions for 2019, consider adding these five to your list. Why wouldn’t everyone? If you’ve become accustomed to letting yourself down with your resolutions, talk to your doctor about how to set meaningful, achievable goals you can succeed at in 2019 and beyond.